After the immediate effects of the disaster have been alleviated by these agencies, the emergency funds run out and the stricken community have to rebuild their lives without the spotlight of the world upon them. It is in these circumstances that Rotary can help most. With the detailed knowledge available from Rotarians on the ground, Rotary funds can be targeted to deliver the maximum benefit. 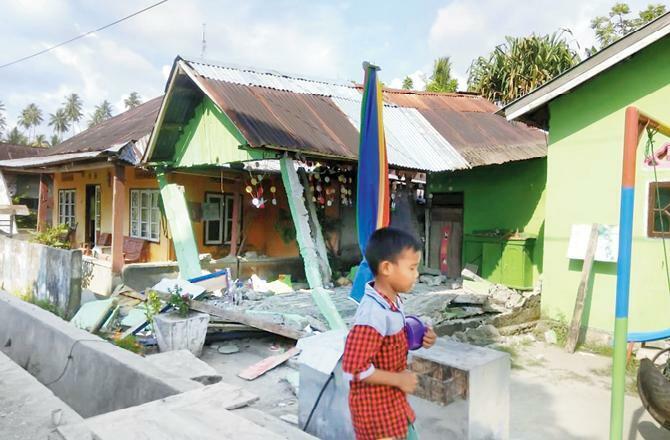 DG Clive Edwards has asked for clubs to make a special effort to respond to the disaster in Sulawesi and a fund has been set up to address some of these longer-term needs that are often neglected by the aid charities. Maybe your club has already decided to donate to ShelterBox or another aid charity but if you can make an effort to donate to the District 1150 Sulawesi Fund, you can be certain that it will be of enormous benefit to the future lives of the Sulawesi victims. Please pay cheques or cash into this account or better still, make a bank transfer. When paying in cheques, if they are done on the automated machines, we will avoid Bank charges. If you prefer to send your cheque, it should go to the District Treasurer. Thank you for mobilizing your club to contribute to this extremely worthwhile appeal.